Great way to promote my company. Thanks CEP. Ordered these bookmarks in a bulk order to help promote my business. It worked nicely. Thanks CEP. Love that i'm supporting an eco-friendly company and at the same time helping promote my business. Thanks for helping me promote my business in an eco-friendly and affordable way. Much love CEP. These bookmarks are great!! Will definitely order more! Thank you CEP! Our younger students loved the book marks, and it was a great way to start to explain what "going green" really means. Thanks again Custom Earth Promos. This is a really cool way to promote my company. Ordered 5k for my book kiosk. I just like to support any company that is all about a eco-friendly environment. Very sturdy bookmark, it took a lot of wear and tear from the students and help up nicely. We gave a personalized eco-friendly bookmark to all our parents during our open house. We wanted the parents to know how environmentally conscience we are trying to be and they really appreciated our efforts. Being that these are made out recycled card stock it gives them a superior durability. Very strong bookmark that has help up for us very well. Colors really popped on these bookmarks. It really made them more attractive to the kids. So many ways to customize these seed paper strip bookmarks. I'm an advocate of an earth-friendly lifestyle and if I can bring this into my classroom, I jump at the chance. These bookmarks were the perfect way to do that. Our campers were enthusiastic about the bookmarks when we gave them out. I think the colors really caught their eye. We had our students take a vote on 3 different items that were eco-friendly, and could be used in class. The bookmarks won, and I'm thrilled. Custom Earth Promos was great to work with on this product. Great imprint area, we put our schools name in this area and looked very nice. The print stand out drastically. Very nice product. 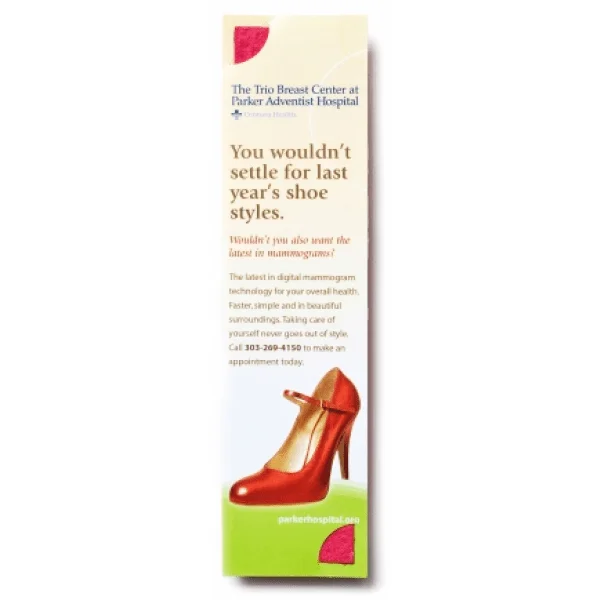 Give life and lasting power to your advertising efforts with seed paper bookmarks from Custom Earth Promos. Add value to your brand message by presenting it with ready-to-plant seed paper uniquely showcased in recycled cardstock. With this interactive marketing tool, you're engaging your customers to take part in a wonderful process that will benefit the ecosystem and bloom into a beautiful garden. Once the seed paper is planted, an instant a powerful bond is formed between your brand and the participating customer or prospect. This invaluable bond will serve to increase word of mouth advertising, benefit your brand image and empower your marketing goals for years to come. Our entirely eco-friendly bookmarks offer a maximum amount of seed paper and a printable surface area in one unique and effective product. A large and colorful strip of seed paper conveniently slides into die-cut slits in the back of the bookmark, ready to be planted. When your recipients remove and plant their seed paper strip, the digitally-printed and fully customized bookmark stays behind as a reminder of your eco-responsible and ethical intentions. When planted under a thin layer of soil and properly watered, a kind gift of annual and perennial wildflowers will soon bloom! There is a great concern for the human impact on the environment in today's society. Brands which utilize methods of eco-conservation add value to their image, propelling customer base growth and increased brand loyalty. Add eco-aware value to your brand name by associating your company, charity or cause with a sustainable product like our Seed Paper Strip Bookmark. Effectively promote your brand message in an admirable way that is sure to gain the attention and appreciation of your recipients. 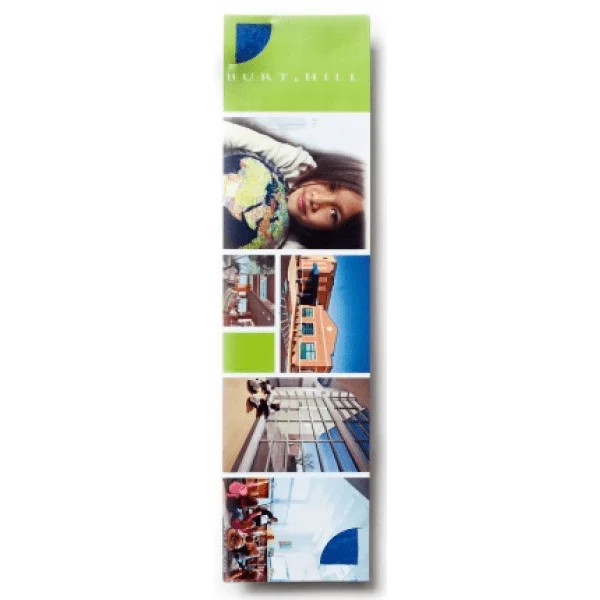 Encourage increased brand awareness, recognition and loyalty without causing any harm to the environment with Custom Earth Promos' 100% recycled, recyclable and biodegradable seed paper bookmarks. Every aspect of our eco-friendly Seed Paper Strip Bookmarks are customizable to best capture your brand and reflect your current campaign. The rectangular seed paper strip is made from 100% post-consumer recycled paper and available in 21 vibrant, all-natural soy-based pigments. The seed paper strip is then creatively positioned behind the die cuts of your custom designed 100% recycled cardstock. Custom Earth Promos invites you to work directly with our in-house expert design team to create an exclusive bookmark blueprint which genuinely captures your brand-specific message, conveying your core ideals with eco-elegance. 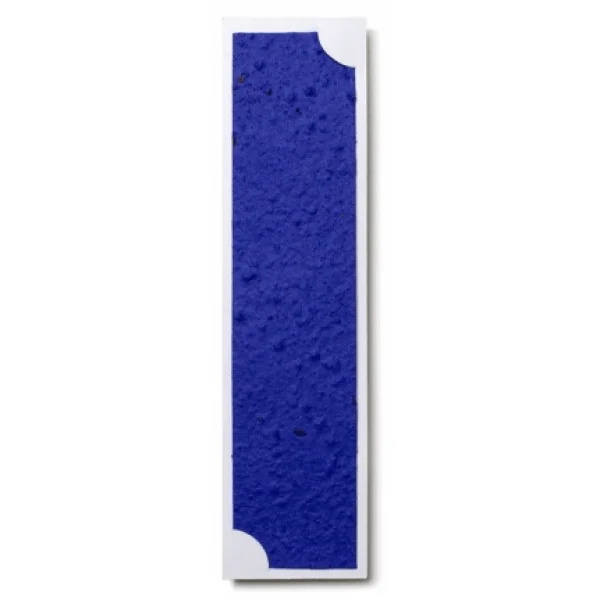 Infused with our popular blend of annual and perennial wildflower seeds, the rectangular seed paper strips are ready-to-plant and can be customized to feature different seed mixtures of various herbs, vegetables, trees, and grasses. Seed strips are derived from 100% post-consumer recycled paper and only all natural, soy-based pigments are used in the dying process. Our entirely eco-ethical Seed Paper Strip Bookmarks are made in the USA with USDA-approved, non-GMO seeds which have been formulated to grow in any climate zone of the US. We monitor all phases and aspects of production, ensuring proper press pressure, temperature, time, humidity and capacity to guarantee seed paper will grow. Adding to their lost list of planet-preserving attributes, seed paper products are manufactured in a 30kW solar power production facility, further eliminating any potential eco-impact. Set your brand apart and position yourself ahead of the competition by investing in your eco-aware brand image with ready-to-plant seed paper bookmarks. Encourage your audience to participate in a selfless process which benefits our planet, boosts the eco-merits of your brand and empowers the potential reach of your campaign. Work directly with our in-house design experts to build a custom design blueprint for your bookmark order. We can use letterpress techniques to add dimension, full-bleed imprinting to create a bold and eye-catching display or increase cardstock quality for a more luxurious aesthetic. Customize the large imprint area on cardstock and choose the perfect color and seed mixture for your seed paper strip. Add ribbons, cello wrap or choose from a vast array of other potential add-ons to personalize your bookmark order to fully optimize the impact of your message. Seed Paper Strip Bookmarks are the perfect representation of our all-natural founding philosophy at Custom Earth Promos. Made in the USA, our seed paper bookmarks utilize 100% recycled cardstock, seed paper derived from 100% post-consumer recycled paper and USDA-approved, non-GMO seeds. Only white, undyed recycled paper is used in the pulp used for our seed paper, guaranteeing all seed paper products are free of any potentially dangerous chemicals. We use only the highest quality seed paper with the highest germination rates to ensure your seed paper will grow into gorgeous living reminders of your eco-ethical brand!